In 2005, I reviewed Nisus Writer Express and gave it good marks, while noting that it may not appeal anyone who needs the tools found in Microsoft Word. Since that review, Nisus has released Nisus Writer Pro, and I have to admit that Nisus Writer Pro might actually be able to woo some users away from Word. Nisus Writer Pro competes with Word better than any word processor I’ve seen in a very long time. For ordinary writing, Nisus Writer Pro and Nisus Writer Express are equally capable. Both have excellent writing environments with a variety of ways to view your writing. My favorite has always been full-screen view, which removes menus and buttons from the screen and leaves me alone with my thoughts; but there is a WYSIWYG page view and window-width draft view, if you prefer. 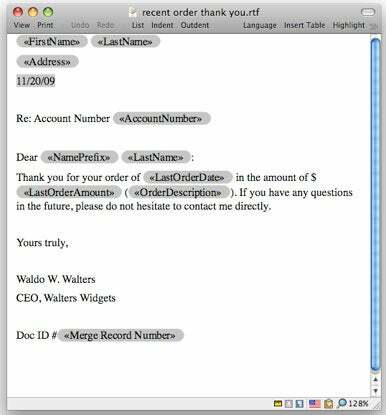 Both programs have excellent support for paragraph and character styles for formatting your text systematically. I am a bit confused by the way that style sheet view in Nisus Writer Express and Pro replaces document-editing view. I prefer Word’s approach, but Nisus Writer’s approach works, too. Both Express and Pro support page-layout basics such as multi-column sections, inline graphics and basic tables. Add in powerful grep-based search tools, non-contiguous selection, support for non-Roman languages, basic macros, and the ability to create your own keyboard shortcuts for nearly every menu command, and either Nisus Writer Pro or Nisus Writer Express is a very attractive option for serious writers. If Express as good as Pro in all those respects, why would anyone bother with Pro? Express is designed for students, business users, and, well, ordinary writers (which is to say, most users). Pro is designed for writing professionals and has the advanced document management features that are required by users who are not just writing, but producing documents. Nisus Writer Pro supports comments, and in my testing, I was able to move a commented document back and forth between Nisus Writer Pro and Word. Nisus Writer Pro can also lets you create an index and a table of contents. Want to add bookmarks and cross-references, so you (or your readers) can find their way around in long documents? No problem. When it comes to merge tools, you may find that with Nisus Writer Pro you may not even need to read the documentation to merge. I found creating my first simple merge document in Nisus Writer Pro much easier than doing the same thing in Microsoft Word. It was a snap to pull data from a single group in my Address Book (or multiple selected groups, or all the records), but it was only slightly more difficult to export a merge (.mer) file from FileMaker Pro or a comma-separate value (.csv) file from Excel. (Tip: Use one-word placeholders, for example, FirstName instead of First Name.) And like Word, Nisus Writer Pro can also enter placeholders based on the evaluation of conditions, although this takes a wee bit of macro coding. For the kinds of merges that most of my clients have done over the years, Nisus Writer Pro does a terrific job and I can’t see how it could be made any easier. For scholars, Nisus Writer Pro provides hand-in-glove integration with the very popular citation management program for Mac users, Bookends from Sonny Software. Back in my previous life as a university professor, I did all my bibliographies and footnotes “by hand.” For this review, I tested Nisus Writer Pro 1.4 with Bookends 10.6.1. While it didn’t make me yearn to be cloistered once again in the research library, I will admit that I was very impressed at how nicely the two programs work together. Creating a merge letter in Nisus Writer Pro 1.4 couldn't be easier. In this example, data is going to be pulled from a merge (.mer) data file exported from FileMaker Pro 10, but Nisus Writer Pro 1.4 can access your Mac OS X Address Book directly. Nisus Writer Pro also supports line numbers; auto-updating variables for things like date and time; endnotes and footnotes; finding by text attribute (for example, finding the next text in italics). And it can be programmed with macros written in Perl, if that sort of thing turns you on. Nisus Writer Pro (as well as Express) also provides excellent import and export support for Microsoft Word’s widely used .doc format. However, support for .docx, Microsoft’s newer Office Open XML file format, is more limited. Nisus Writer Pro cannot write .docx files and .docx files imported into Nisus Writer Pro may lose complex formatting elements such as footnotes. Nisus Software explained that they rely upon the Text Services tools built into OS X version 10.5 and later for conversion of .docx files, so support for .docx files might improve on its own in the future if Apple strengthens this aspect of the OS. Nisus Writer Pro still isn’t Word, though, and for some users, this may still be a deal breaker. Nisus Writer doesn’t integrate with Excel the way Word can, nor does Nisus Writer support change-tracking as fully as Word (or OpenOffice.org). Nisus Writer’s outlining options are less useful than Word’s, and its page-layout options are also not as extensive as those found in Word (or Apple’s Pages). Nisus Writer can’t generate a legal table of citations and it lacks some of Word’s very advanced long-document management features. For an awful lot of users, including users with advanced document-production needs, Nisus Writer Pro is a solid and very satisfactory alternative to Word, offering more than two-thirds of Word’s features in an easier-to-use user interface, for about one-third the price. In particular, for SOHO business users, and for graduate students and scholars using Bookends, Nisus Writer Pro 1.4 is an unbeatable bargain.